Classics Retold: Intro & Sign-Up Post! Here’s a breakdown from Alison on how we’d like this project to go — Please pay attention to these rules if you’re interested in participating! Timing: September 2013 will be our month to post everything so you have plenty of time to work on reading & blog posts! Sign ups will run from April 11th – May 25th. You will choose a classic you’d like to read. You will post reviews or your thoughts on your blog for each one during September. To participate in this project, you only need to sign up for one classic (and its adaptions). If you’re interested in reading a different classic, check and see if there are sign-ups open for that genre/era and sign up at that host’s page! If all of the spots are filled, feel free to contact the bloggers in charge of those posts and you may be able to do a “guest post” for their topic. YA/MG focus is not mandatory but all of the adaptations I’ve listed below are YA & MG. The event itself and all the posts will not go live until SEPTEMBER 2013 so if you’re already intimidated, never fear! You’ll have plenty of time to read your original classic and the retellings. GIVEAWAY: As a special bonus, I will be hosting a giveaway for the mythology participants! Each post (not including the intro post) will get you one entry into the giveaway for a retelling of your choice! This retelling does NOT have to be mythology but you do have to be a mythology participant (since I will be the host for this particular giveaway). There are oodles and oodles of retellings out there so there are plenty of awesome books to choose from. If you need help, you can always check out what other people are reading for CLASSICS RETOLD as well! The fine print: 1) This giveaway will be international with the catch that The Book Depository ships to your location. 2) TBD must carry your choice so I can ship it! 3) Your choice must be a retelling. 4) Only your entries for the mythology part of Classics Retold will be your entries for the giveaway since I am the blog hosting it. When the time comes to start posting, there will be a linky for you to link up all your goodies! Get it? Got it? Good! Hope that sounds like fun!! I know I’m excited to read some mythology as well as various retellings of the tales. EGYPTIAN MYTHS: Adaptations include The Chaos of the Stars by Kiersten White, The Kane Chronicles by Rick Riordan — Also, Tara from Fiction Folio recently had a great post about her favorite books about Egypt! These are just a few to get us started! Alison from The Cheap Reader also recently had a post about mythological fiction for YA/MG. Remember, you only have to read the original myth you sign up for (the full book if there is one — If not, the part of the anthology or some other credible source of the actual myth) and the retellings (preferably at least two. At least one book and you can watch movies for retellings too, but pretty please read the book). This entry was posted in Blog Event, Books and tagged Blog Event, Books, Classics Retold, Mythology on April 11, 2013 by Brittany. Hi! Amy signed up for 2 books so I asked her to pick one. You can take her off of Medusa. Thanks. Yay! 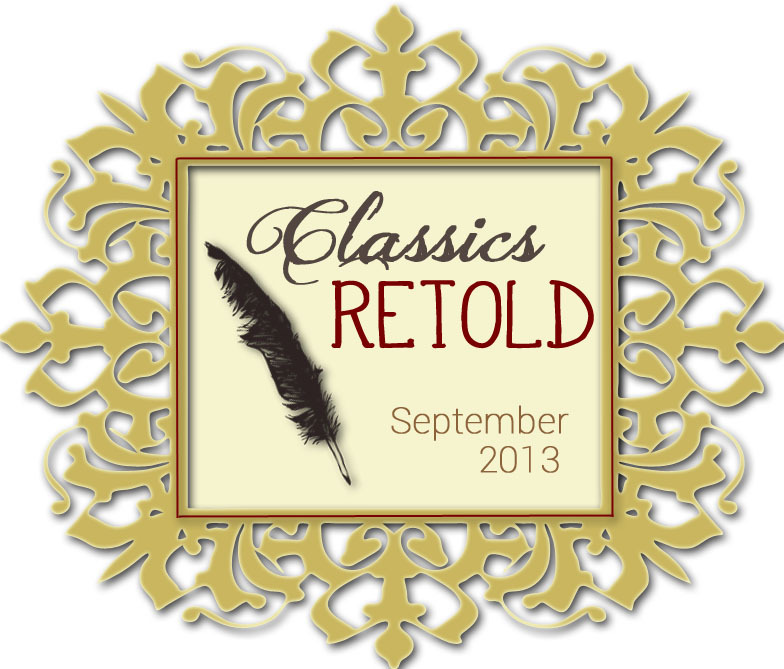 I loved your project fairy tale posts, so I’m excited to be a part of Classics retold! So fun! Hi, I realized that The Aeneid is actually classified under Books Take You Places’ Ancient to Renaissance Lit Classics page. I contacted her as well, as I’m not sure where to classify myself now. If you could let me know, that would be great! Thank you! Thanks so much for signing up! I’ll talk to Alyssa @ Books Take You Places and see how she wants to work it out. Let’s keep you with me for now and I’ll let you know if anything changes. Thanks!! !